Volkswagen's new Caddy small van is set to go on sale this November with a sharper look, similiar to the design seen on the new Volkswagen Polo and the forthcoming Volkswagen Sharan. It promises to be cheaper to run than the existing model thanks to more efficient engines, plus there are improvements in quality. Along with the adoption of the latest Volkswagen styling at the front, there are also new rear light clusters, the option of cornering lights and - for the first time - roof rails are available, making it far more useful for tradesman who need to transport things like ladders. It's a similar story inside, where new instruments, steering wheels and audio/navigation systems, plus the option of Bluetooth give the Caddy a feeling of more quality and style. 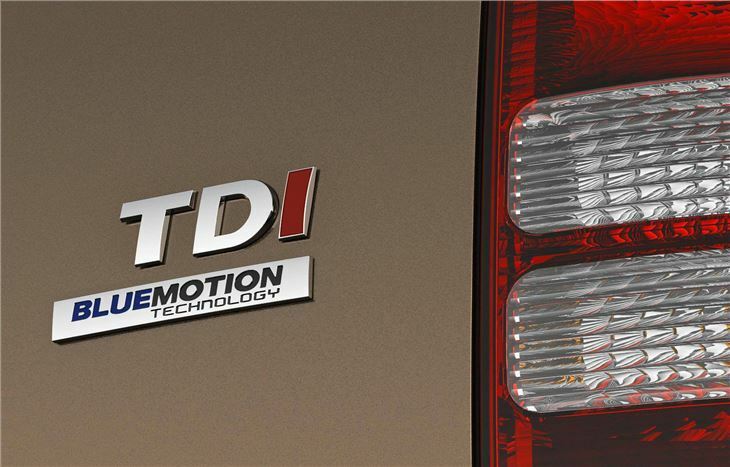 Power comes from a completely new range of four of Volkswagen's latest common rail, four-cylinder TDI engines which are more fuel-efficient. This includes two 1.6-litre TDI engines producing 75bhp and 102bhp, plus two 2.0-litre TDI units producing 110bhp and 140bhp.These are quieter, more refined and economical, with cleaner Euro5 standard levels of emissions. Other new features introduced to the new generation Caddy include Volkswagen's latest seven-speed DSG gearbox and 4MOTION four-wheel drive. BlueMotion Technology models will be available in the van and passenger-carrying models with the 1.6-litre engine, offering impressive economy and low emissions. These use start/stop and battery regeneration systems to help reduce CO2 emissions to as low as 129g/km and an average fuel consumption of up to 57mpg, giving a potential range of up to 735 miles on one tank of fuel. The new generation Caddy range will have ESP (Electronic Stabilisation Programme) standard on every model. Other new safety features include daytime running function for the headlights and automatic activation of the hazard lights under emergency braking. 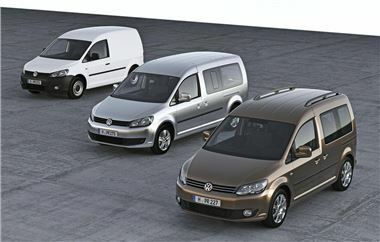 The seven-seat Caddy Maxi Life has been renamed the Caddy Maxi MPV and for greater flexibility and loadspace, the second row of seats in this model (and the five-seater Caddy Maxi kombi and window van) will be able to be removed completely rather than simply folded forward as is the case now. Full details of prices and specifications are expected to be released next month.